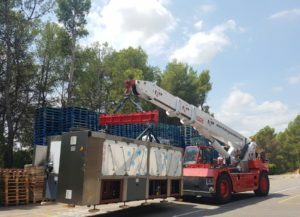 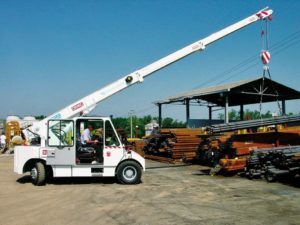 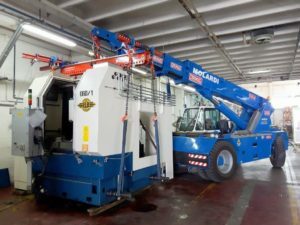 Ormig SpA is manufacturing “Pick and Carry cranes” at diesel power for load moving inside and outside yards and everywhere it’s required, besides the lifting , a capacity free-on-wheel. 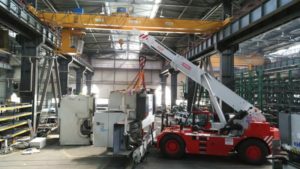 Remarkable performances, easy drive and maximum security in the work are the most important features. 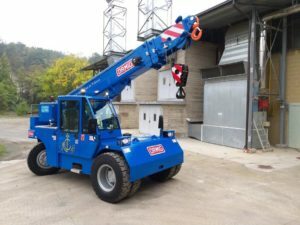 Ormig cranes are projected in compliance with Machine Directive and the regulations for road travelling. 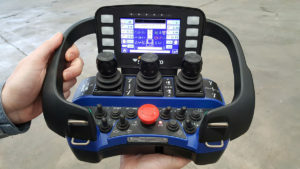 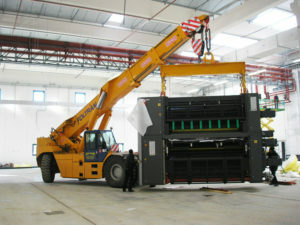 The present range covers cranes having capacities from 5.5 to 75 tonnes.